I’ve reviewed Dennis Danielson’s lovely book Paradise Lost and the Cosmological Revolution for the March 2016 edition of the British Journal for the History of Science. Citation: Tattersall, Mason, Review of Danielson, Dennis, Paradise Lost & the Cosmological Revolution (Cambridge: Cambridge University Press, 2014) for British Journal for the History of Science. Vol. 49, No. 1 (March 2016), pp. 120-2. 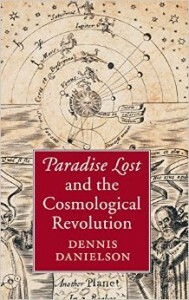 This entry was posted in Publications and tagged book reviews, Cosmology, History and Philosophy of Science, intellectual history, literature, Milton, philosophy, Physics, Publications, religion. Bookmark the permalink.